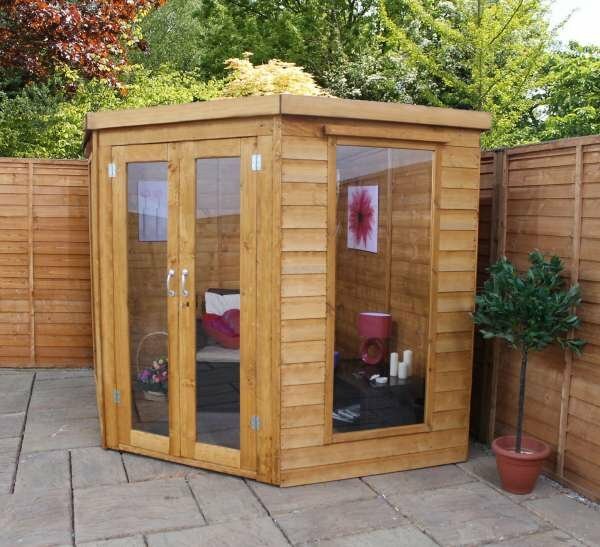 This gorgeous summerhouse is ideal for spending your time outdoors. 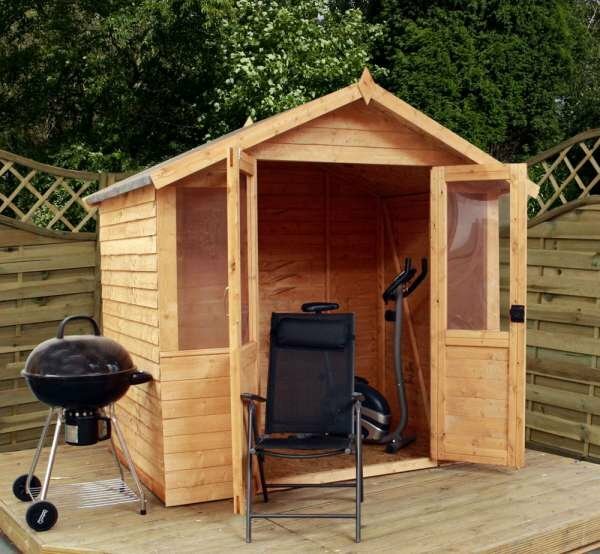 Just nip inside to get a bit of shade from the midday sun or entertain guests with drinks on a Summer’s afternoon. 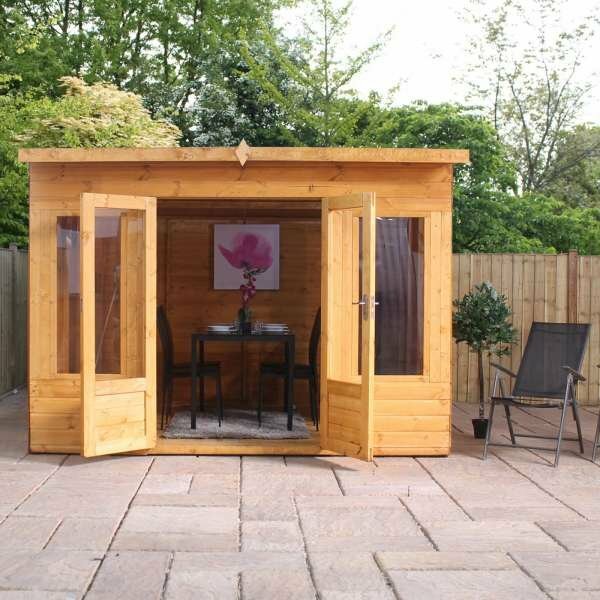 Hertfordshire Wooden Summerhouse are available in a choice of sizes to suit your requirements. 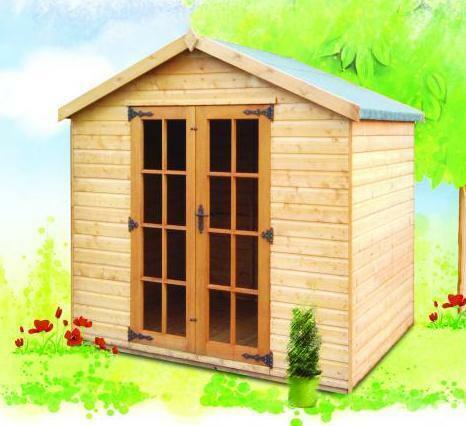 The summerhouse is made with 15mm tongue and groove cladding and 45 x 34mm planed framing. 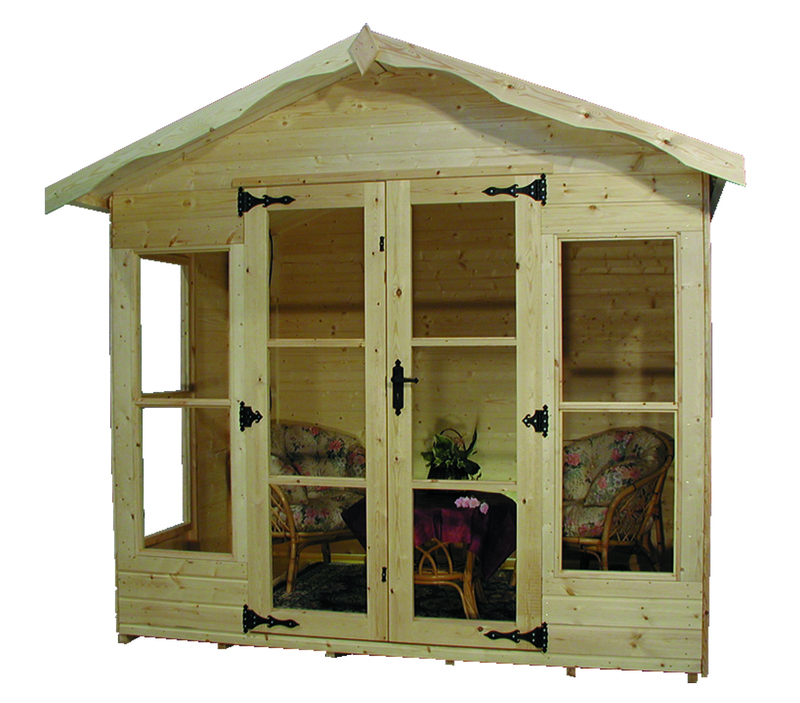 The doors and windows that come as standard are perfect for getting the best of light when the summerhouse is in use. 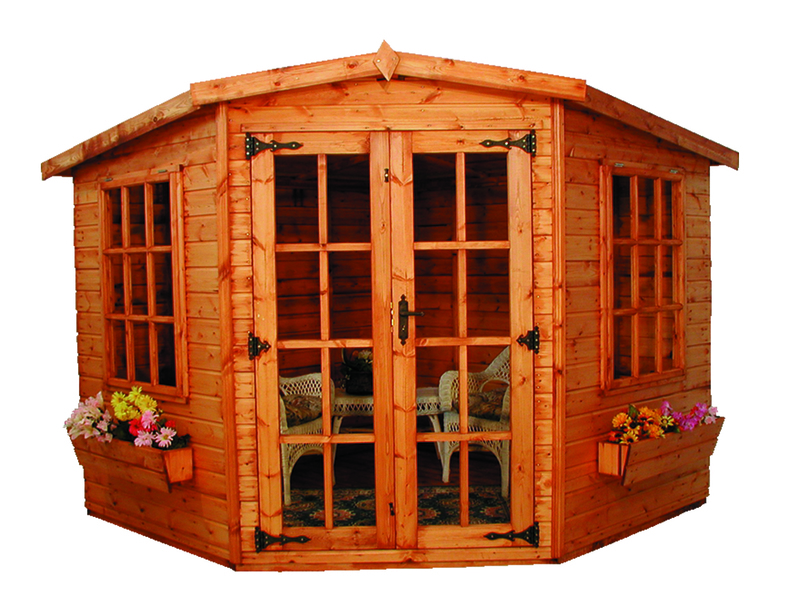 The doors are 44mm thick and come with a fitted lock and key for security. The windows are opening and the glass used has been toughened. The internal eaves height is 6ft – 6’6ft. Available in sizes: 10ft x 6ft (3m x 1.8m) | 10ft x 8ft (3m x 2.4m) | 12ft x 8ft (3.6m x 2.4m). 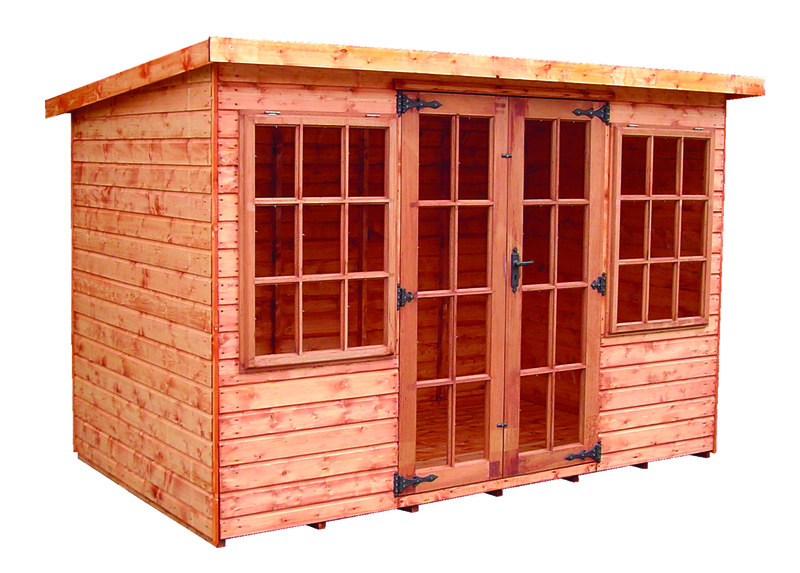 Pent roof summerhouse with choice of sizes. 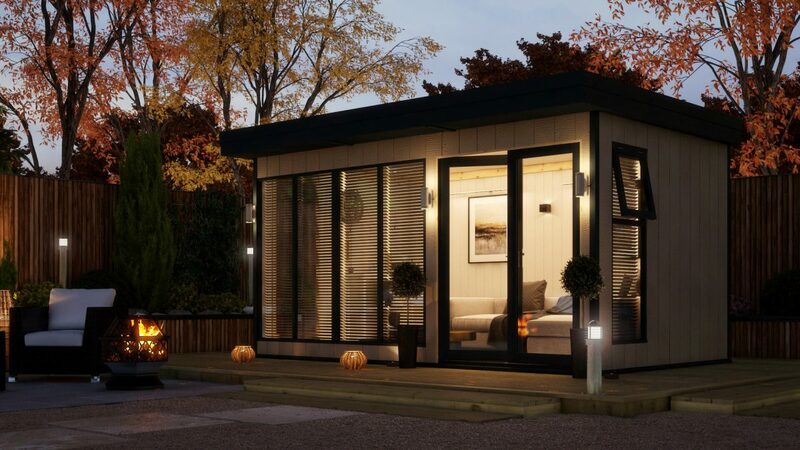 Manufactured from thicker than average 15mm tongue and groove shiplap cladding throughout including floor and roof and 45x34mm planed framing. It has hardwood small pane doors and windows as standard. 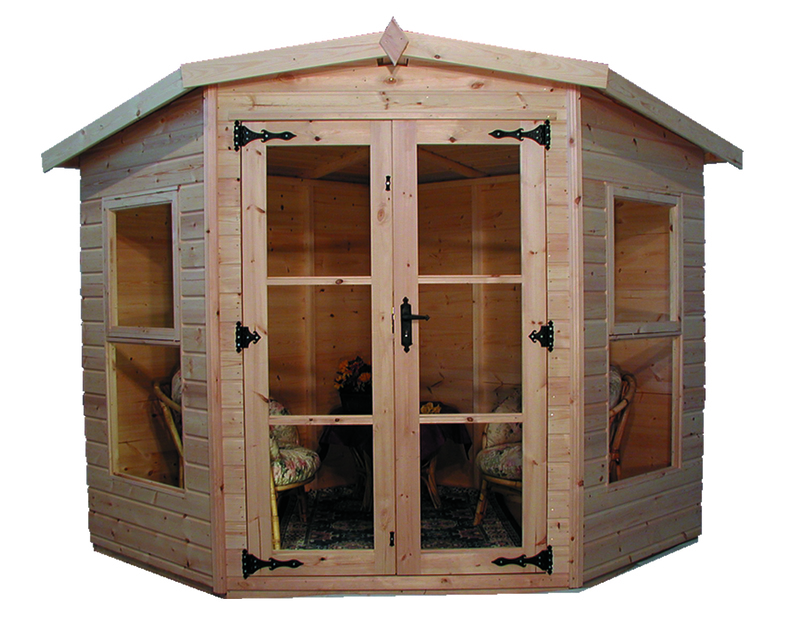 The doors are 44mm thick with a fitted mortice lock, two keys and decorative hinges and handles, the windows are opening. All glass is toughened safety as standard. Internal eaves height is 1.8m (6ft) – 1.98m (6’6).